John Servedio from Servid Sounds and Inhouse Create took some time to tell us about his experiences using the RØDE Microphones AI-1 Audio Interface both in the studio, and whilst travelling. Music producers get excited when they hear about new gear. I am fortunate enough to work with some of the latest technology going around, so that excitement is regularly replenished. But working on the cutting-edge means you need to keep up, or risk being left behind. Over the past year we have seen most Digital Audio Workstations (DAWs) move into the cloud, which has benefited the new wave of sound engineers and music producers. The everyday producer now has a suite of options and can produce professional quality work with the simplest of set-ups. That takes us to the RØDE AI-1. 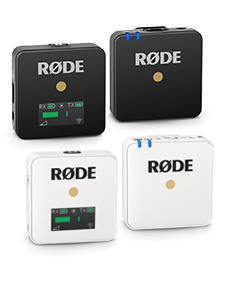 I recently tested the new RØDE AI-1 interface in-studio, and out on the road. Let’s start there. I travel a lot, so most of my work is done on the fly, which means simplicity is essential. My work also necessitates a robust rig. Whether in the dusty Outback sprawl or in the thick snow, I need to know my gear will outlast the roughest of conditions. The AI-1, to this end, is a real performer. It’s quite a small unit but you can feel that the RØDE build quality is superior to similar interfaces in its range. Put simply, for the price point, I wouldn’t look elsewhere. The simplicity of the AI-1 also fosters creativity. When inspiration strikes, you want to focus on creating and not setting up equipment. The interface has two main controls on the front and a fast USB-C port on the back which has you recording in seconds. Add it to your main DAW and you’ll be laying vocals tracks with ease - most importantly, before those fleeting creative ideas pass into the ether. And the headphone amp? Better than most I have heard, period. This thing grunts and easily one of my favourite features! Down to business. The RØDE AI-1’s strongest selling point is its the size and durability, but its microphone preamp took me utterly by surprise. Add this to the recording package of the NT-1 and you have yourself a formidable rig. How good is it? The input is so warm that all the vocals I have done on the road are the final comps. 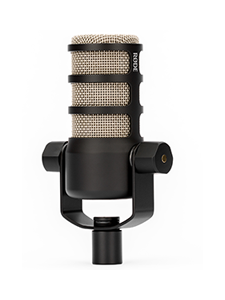 RØDE has nailed simplicity and durability in an interface which suits a lot of engineers and producers, from bedroom startups to on-the-go sound artists. And will RØDE stop? 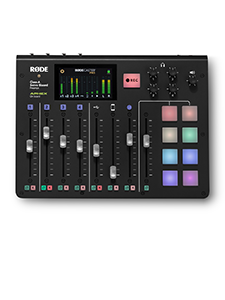 Looking ahead, I can see the RØDE AI-1 being the first in a new wave of cutting-edge recording solutions designed for professionals and artists who constantly evolve. Reach out at John @ servidsounds.com.